An exceedingly rich album that includes many favourable influences. Recently the Eastern Europeans have been gaining ground in a hurry on the traditional Female Fronted heartlands of Northern Europe/Scandinavia. 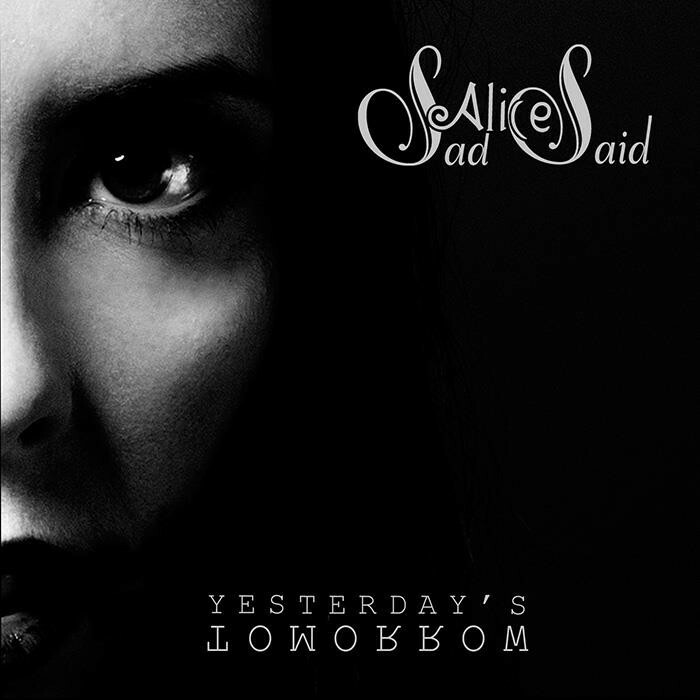 Now from the Ukraine comes a Gothic Metal act called Sad Alice Said who were formed by singer Alisa Shakor in 2005. The band began life as Alice In Wonderland, an all female group, but there were line up and name changes before their first EP 'Clock Of Eternity' in 2011. With a name like SAS I'm sure many readers will be expecting this to be depressing. But names can be deceiving and whilst this may be gothic it's certainly not all downcast. 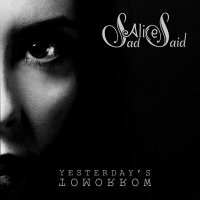 'Yesterday's Tomorrow' only consists of eight tracks, (including all four EP songs), but clocks up a decent 42 minutes. The opener got my attention quickly by being remarkably redolent of Delain. There's dreamy violin, piano and vocals before the electrics and keys erupt for a blisteringly catchy chorus. 'Alive' is a brooding and heavy song with a sound comparable to early Nightwish. There's a haunting Celtic melody on the violin, lots of chugging guitars and swirling vocals. The violin, along with the piano, again appears prominently in 'Door In Autumn' with each taking turns to work in tandem with the crunching guitar. 'Clock Of Eternity' is a ballad fuelled by a slow deep riff until everything gets an injection of pace with the arrival of the machine gun like choral guitar. Although I love the opener, the song I'm most taken with is 'Fade'; it's full of delicious vocals, emotional violin and piano with a stonking guitar and keys tune that appears intermittently. Well, Alice may be sad but this makes me anything but. It's an exceedingly rich album that includes many favourable influences. You'll find a little Delain, then some Nightwish followed by a little Leaves' Eyes. Whilst it may be gothic in nature there is almost always a positive ingredient as well and it's this contrast of light and dark that makes 'Yesterday's...' so enjoyable. It doesn't hurt that there is an infectiousness about the choral hooks and melodies from the different instruments. Shakor has a lovely voice that can be both haunting and warm although just occasionally she sounds like she's closing in on the edge of her range. Musically this is tip top with lots of thick progressions, thumping rhythm and loads of fine piano and violin to give the music an added edge. This could interest many of our female fronted readers especially those that dislike growling as SAS avoids it. Whether yesterday, today, tomorrow or whenever, pop to Youtube and see if what Alice has to say makes you feel sad or not.